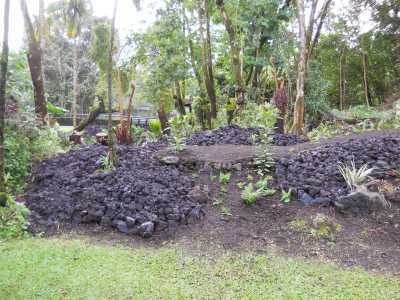 Pana‘ewa Zoo Discovery Forest is a forest demonstration project being created at the Pana‘ewa Rainforest Zoo & Gardens, which is located in the middle of a lush Hawaiian tropical rainforest on 12,000 acres of land in Hilo, Hawai‘i. 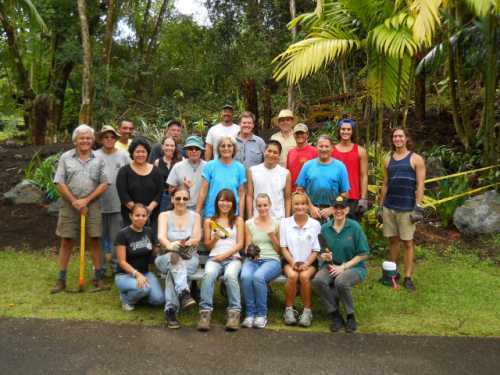 HFIA was awarded a $30,000 grant from the Hawai‘i Tourism Authority and $5,000 from the Change Happens Foundation through the Hawai‘i Forest Institute. 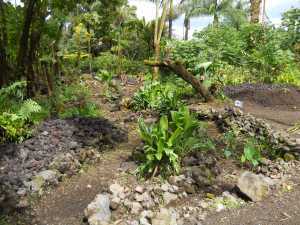 The project is engaging community volunteers in creating and maintaining a native and agro-forest demonstration exhibit. Learn more at our HFI Website. 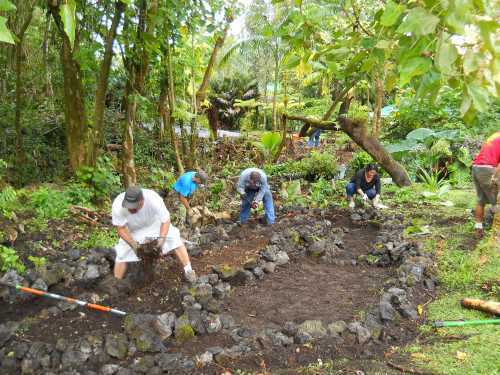 Volunteers build a dry stream bed in the Agro-forest. Peter Simmons, a happy volunteer. 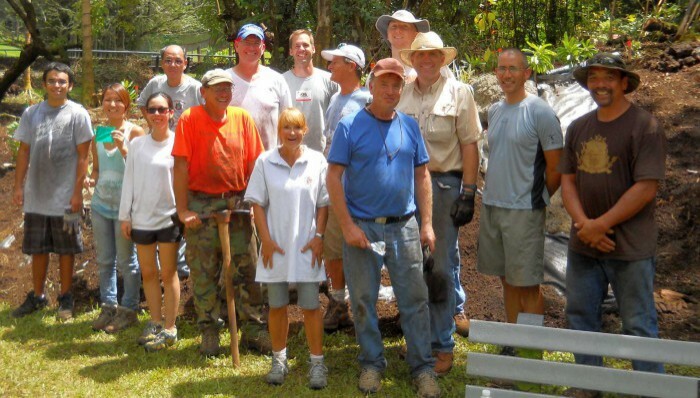 Happy volunteers after a long work day. 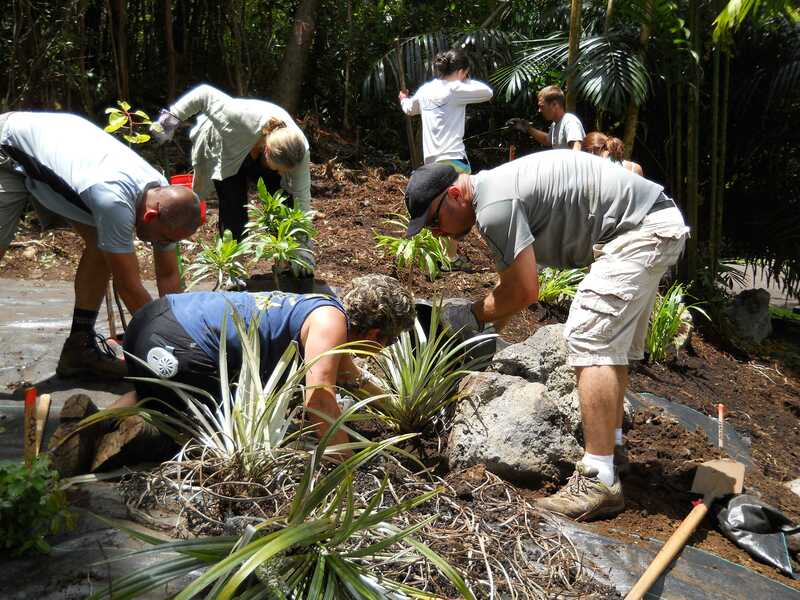 Volunteers outplanting native plants in the Native Garden.